Dan (Farthing, seen at the David Lean in The Riot Club and currently on a small screen near you as the scheming George Warleggan in Poldark) is a party animal who has died too young. But he has bequeathed his good friends Seph (Carmichael) and Alex (Pirrie) a memory stick containing a series of hilarious, painfully frank video messages sending them on a road trip in a battered Volvo estate. Not so much a back-seat driver as a mystical presence wedged into the glove compartment, Dan orders them to drive around Britain, to scatter his ashes in places dear to his heart. 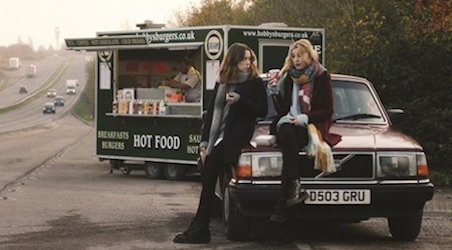 This daring, female-centric road movie — a 2015 London Film Festival audience favourite — is supported by cameo appearances from some great British comic talent. But the excellent Pirrie and Carmichael (a long way from Lady Edith in Downton Abbey) are the true driving forces of a crackling, life-affirming voyage of self-discovery. 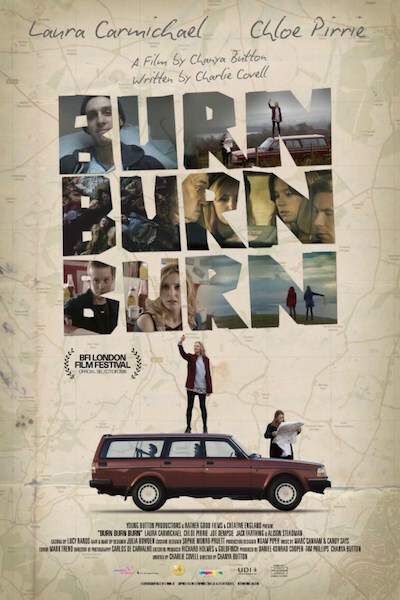 This film’s debut at the London Film Festival seems to have avoided mainstream media coverage (well, the Daily Mail reviewed it, but seemed more concerned with what the leading lady was wearing at the premiere…). So, as befits an off-beat film, here is a Review from an alternative source.